It is a sad fact and indicator of the inequality of our society that many of those who put in the labor may never taste its fruits. 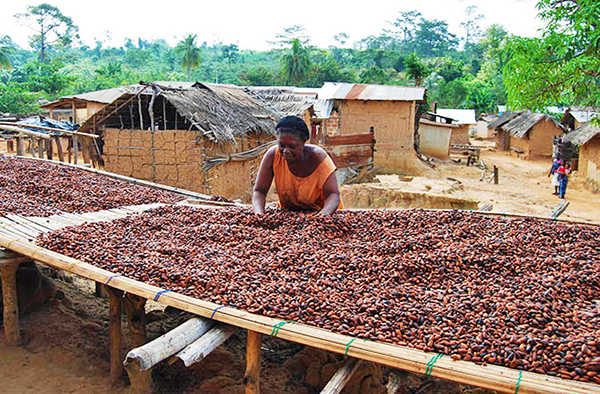 A group of cocoa bean farmers in Africa’s Ivory Coast recently had the opportunity to do just that when they tasted the chocolate made with their beans for the first time. A correspondent from Metropolis TV visited the farmers and gave them their first-ever chocolate bar – hit the jump to see a video of their reaction. Though it’s a small West African country, Ivory Coast is the leading producer of coffee beans in the world. Many of the farmers have been working with cocoa beans for decades, but until recently never tasted chocolate. Why? CNN.com reports that because the farmers are at the bottom of a global supply chain that is “firmly against [them]” – in the form of traders, processors, exporters and manufacturers sitting above them demanding profits. This gives them little-to-no bargaining power and very little money to support their families in return – let alone buy chocolate. Related: Is Your Hershey’s Chocolate Bar Fueling Child Slavery? When you say "Watch" you need to put a video. Tired of clicking on these links and you dont have what you say you have.